Mallika Hemachandra Jewellers was incorporated in 1968 and is a legendary Sri Lankan Jewellery business name that prevails throughout four decades for quality standards and exclusive designs. 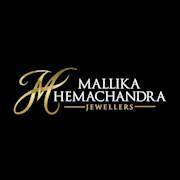 Mallika Hemachandra Jewellers have become a point of reference for its innovative designs and craftsmanship. The finished products of Mallika Hemachandra Jewellers have attracted wider interest from young and yester year generations who have patronized Mallika Hemachandra Jewellers for decades. Undoubtedly hands on experience of legendary Mallika Hemachandra herself has raised the expectations of the customer to bridge the gap of traditional inequality of human desires. Astonishing technical fiat of some custom made gem and diamond studded jewellery are not second to any competitor/contemporary jewellers elsewhere in the world. Unlike any other jewellers we do not force the customer to shop and carry whatever we have in store. In addition to our custom made jewellery we help to re-invent the customers’ choice by using our design skills to preserve unique but modern designs to generate eye catching jewellery.